CD Audio, CD+G (CD and Graphics) player. Card slot for saving game data. "CDTV ROM is dedicated in memory of our friend and fellow Amigan: Robert A. Peck"
Go to the Preferences screen and select "American"
Push the left arrows on the remote if the letter isn't "O". 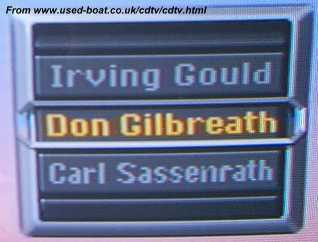 If it is "O", press right to type the phrase "Commodore CDTV Remote Controller" which is: LRLLRLRLLLLLLLLLRLLLRLLLRLLL. 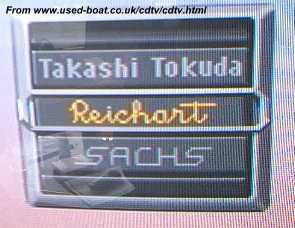 This Easter Egg changes the language choices to the people responsible for the CDTV. The CDTV and CD32 both have this egg (although the CD32 has the extra CD32 team added). Mike Battilana relays the note that: "Early CDTV developer units came with an "upside down" flash memory board instead of the extended ROMs at sockets U34 and U35. This allowed developers to more easily load and test new Extended ROM versions, without needing to burn EPROMs or replace ROM chips." David Bradbury notes (Re: Media information/Early development CDs above): "I've just donated these to the local computer museum in Cambridge (UK). A couple of prototype CD-ROMs for the CDTV (known as the "baby")—see the inner ring on the Commodore-logo disc. These dated from 1990 when we were working for Commodore developing the CD-ROM applications and software for the CDTV (amongst other computers as well)." "I'm dyslexic, and all the Easter eggs out there were always annoying for me to remember. So I had this prototype controller Don had given me with a piece of tape on it that said "Commodore CDTV Remote Controller" and I asked if that is "for sure" what it would say when it went out the door. Once confirmed, I simply figured I would treat each consonant as a one, and vowel as a zero, (or left and right), but settled on just the ohs being zero because I messed up entering my own password too many times myself. For some reason just focusing on counting letters until I hit an oh was simpler." "I really wanted this Easter Egg from day one. Will Ware and I figured out a cool trick to embed them. It is simply a colour swap trick; one we used when we created Fire Power for the Amiga. We manipulated bitplanes to create two enemy colours from one pallet (we also encoded the collision mask in one bitplane, so we could use the high speed blitter to do the work for us, which is why the game only has 16 colours as opposed to 32, but is fast, but I tangent). Jim Sachs loved the idea, and whipped out a version of it in hours. We were working around the clock, we had only months to get this out for CES, so taking time for something like this was rare back then. When Sachs said my first and last name would not fit, I simply said, I will draw one up from my signature and then we agreed since he already had a stylized way to present his name on all his images, just use his last name. We also agreed, we had to put Irving's name in, we knew this is what would slam it home. 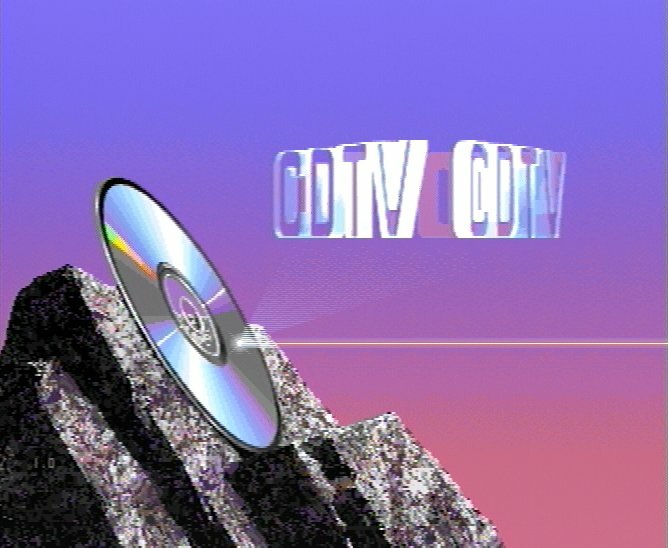 Gail Worthington personally presented CDTV to Irving (Gail was an unsung hero at Commodore), and she was careful in showing him the Easter Egg, but he loved it, so it stayed!" "Jim Sachs really wanted the thing people were going to see even if there was not a CD in the tray to say "This is amazing, this is quality!" We knew Commodore was going to fail on marketing this, and we were treating it like our only chance at people remembering this was to see the name, in 3D. Jim's idea was "solid as a rock" (sort of like Paramount), so he started by finding a real piece of granite, and then placing it and rendering one dot at a time (in Deluxe paint). He then cut all three sets of CDTV out of Lucite, stuck them on a Lazy Susan, and photographed them for 360 degrees. Added his classic BG colour spread, and a laser to make it look like this device produces holograms. The big problem was, it was still too big for the ROMs. Around that time I was working on a lossless compression trick, and so Commodore licensed my tech to compress the data over 50%. Since it decompressed almost as fast as it could be accessed, it had almost no overhead, but gained us enough room for all the well-crafted art Jim was making." "The core team that made the CDTV OS were Carl Sassenrath (who now is working with Roku), Jim Sachs, Will Ware, Leo Schwab, and myself. Lots of people helped, and that is why we put all there names in." "Will and Jim and I still work together today, we put out SereneScreen.com (of several other products). I had dinner with Leo just recently. One of my big projects was written in the language Carl created: REBOL. And funny enough, next week, I'm heading up to spend the afternoon with Dave Needle (who was one of the creators of the original Amiga, and designed the Atari Lynx, and 3DO)." "As for me, I have a show on the History Channel, called Invention USA. I'm the silly looking one, er, on the left, the other silly-looking guy is my co-host Scotty, he invented the Sippy Cup. :)"
Brian Handscomb notes the following regarding the A570: The A570 "extended ROM" was in fact different to that of the public CDTV "extended ROM". Mostly this was because the A500+ shipped with Kickstart 2.04 and the A570 ROM code had to be compatible with this and the original 1.3 of the CDTV and the original A500. The A570 ROM included two new ROMTAGs (can be located using FindResident() exec call) "A690ID"—note this refers to the original development name of the CD-ROM add-on "kludges"—it looks like the CDTV titles "World Vista Atlas" and "Classic Board Games" needed special handling to work correctly. For reference, the A570 ROM version was "2.30" (in the same way Kickstart 1.3 was "34.5")—CDTV ROM version was not set. I believe, though I do not know for sure, that the original developer-only PROM upgrade to allow Kickstart/Workbench 2 on a CDTV matched the A570 ROM (guesswork based on www.cdtv.org.uk/1515.html). Ross Vumbaca notes: "the CDTV has two sets of ROMs; Kickstart 1.3 ROMs, and special "CDTV ROMs". 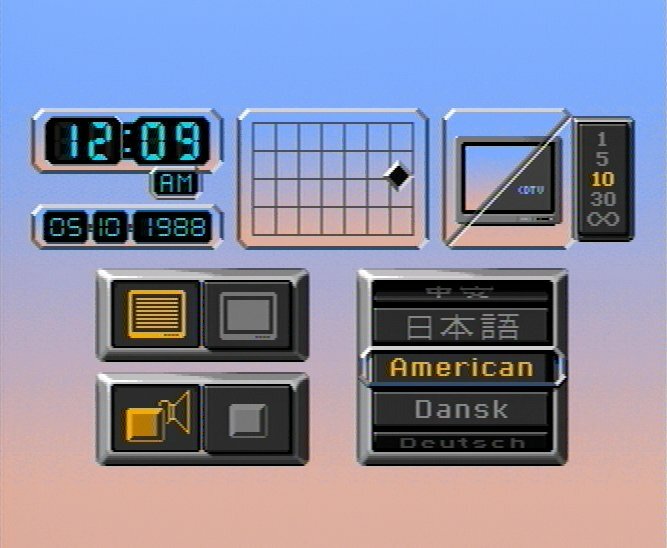 The screenshots shown above are from the CDTV ROMs and not Kickstart 1.3 (naturally). These special ROMs were also present in the "A570 CD-ROM drive" from Commodore. This drive was a side bus expansion for the A500(+) and produced the same boot-up screens, etc. on the A500—which in effect made it a CDTV." Amiga of Minnesota Interest Groups Alliance (A.M.I.G.A.) 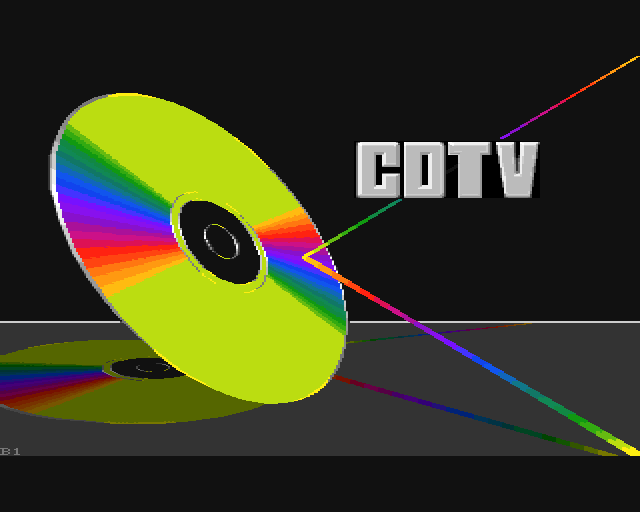 has obtained non-exclusive licensing to provide the hardware to upgrade the CDTV to OS 3.1. This involves changing two PROMs in the CDTV, and installing the 3.1 OS ROM at the same time. The machine will then boot to 3.1 from floppy with the CD drive active. It can also boot to 3.1 from the CD drive, but will reboot when the "eject" button is pressed. The upgrade will work in ALL CDTV's that do not have the upside down Flash ROM Board, which was the unit released to developers. For further information, contact Ben Deemer, with "CDTV Upgrade" as the subject. 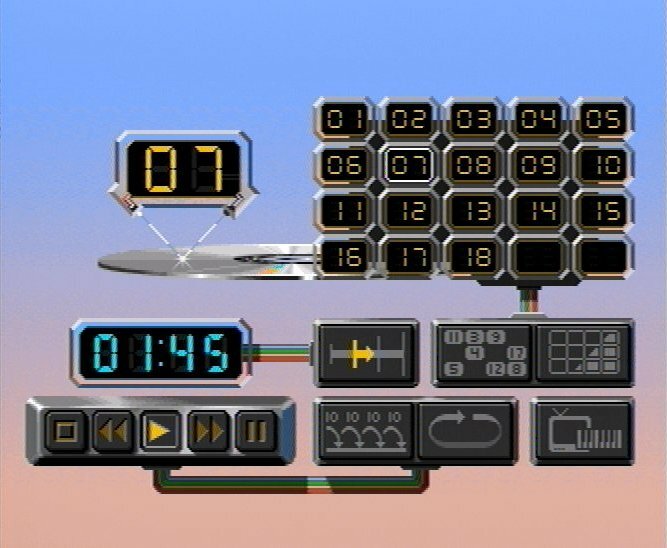 Although CDTV units were supposedly Kickstart/Workbench 1.3 only (the majority of software written for the CDTV was programmed with only 1.3 in mind), some are capable of running Workbench 2.04+. However, Ben Vost notes that: "Although some CDTV's could be upgraded to Workbench 2.04 or higher, there were a lot sold in the UK that couldn't. Unfortunately the only way to find out was to open up the machine and try an A500 Kickstart 2 chip (37.175) and see if it worked. It didn't on mine, which was one of the first machines in the country." Ronald van Dijk notes that: "the A570 may contain the same data in ROM [as the CDTV], but here it is stored in a single 16-bit wide ROM. My A570 has ROM V2.30, PN: 391298-01.